She had no interest in learning guitar and sold it to me for $20. I took lessons from the neighborhood guitar teacher. I had discovered the band Black Sabbath while in High School and spent a lot of lessons bringing Black Sabbath songs to class and making the teacher teach me how to play the riffs. I guess you could say lessons were a waste of time technique-wise, but invaluable for learning how to rock. This song is about living through a huge traumatic event and trying to keep love alive while your life is falling apart. It is inspired by the events of 9/11 in NYC. I was in Jersey City at the time and watched the Twin Towers fall down. It was one of the most traumatic events in my life, and it made all other things (relationships, work, play etc) see irrelevant. Setting such a heavy theme to an electro-pop song was a challenge, and I hope the song is weirdly inspiring. The very first album started its life as a John Wlaysewski solo album. It turned into a full band after it was mixed. I played bass, guitar and keyboard on the first album, The Last Concert (2011). Our next three releases, Social Season EP (2012), PEACH (2013), Golden Time LP (2015), were full band efforts, with all of the inspiration and compromise that comes with working and writing with other people. It will be the first release since 2011 that I play all the bass, guitar and most keyboards on. It’s actually sounding really awesome, and I’m super excited to put a release out with a lot of control over the writing and recording again. My creative flow is at a peak right now, and the new songs are super catchy electro-pop with surprisingly sophisticated ideas thrown bout. The music scene is super hip and full of music scene-sters. It’s more important to be ‘cool to like’ than to be the best band. It can be a frustrating experience to see a great band play to a half full room one night, then watch as a gimmicky band made up of kids playing toy instruments while a parrot sings, perform to a packed house. Terminal 5 is an amazing venue. I always really dig the Highline Ballroom. These are the larger venues in Brooklyn and Manhattan that get the really cool touring bands. Saw Phantogram at Highline and they were awesome. We rehearsed next to them in Brooklyn and became friends with a few members… Great peeps. I love walking from Manhattan to Brooklyn, over the Williamsburg Bridge, and then getting a pressed juice at Mr. Pina. Carrot Kale Beet Ginger Apple Pineapple is so awesome and great for you too. I don’t think artists should be looking to get signed unless they are making Top 40 radio music, and are willing to be completely made over and sing professional songwriters songs. The label system really only benefits the artists that make them the most money. If you’re making Indie Rock, you don’t want to be on the same label as Katy Perry. You will never get the attention and exposure you need from them. It’s best to stay independent as long as possible and build your fan base organically through talent, touring, amazing recordings and dedication. Anyone that makes indie music and thinks that getting signed will make their music life better is being naive. Pro: I love what I do and have no regrets. Cons: The music business is a fickle beast, ready to leave you for the next big wave of music styles. 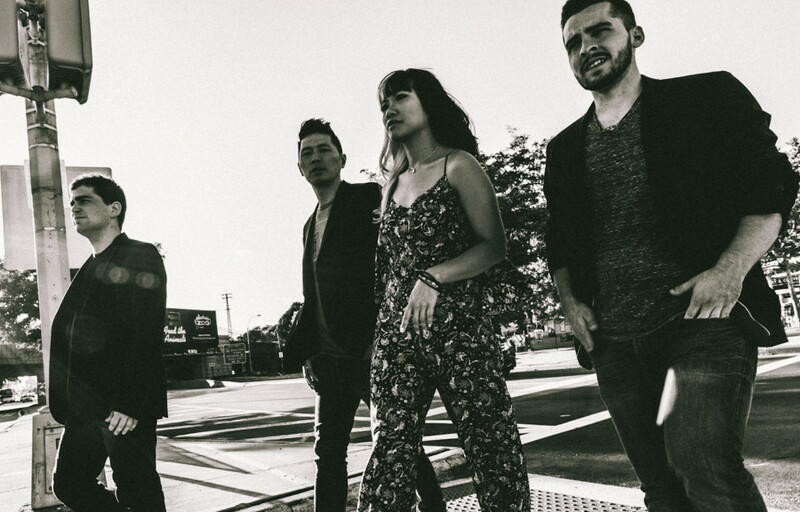 I’ve seen a lot of friends break through with a great single, and then tank on their sophomore album as the next ‘cool’ sound pushed their music genre off the radio. The best thing you can do as an artist is write the best songs you can. A great song trumps the popular music style any day. A great song transcends genre and is loved by people of many walks of life. As long as your writing continually improves and evolves, your fans will always stay with you, excited knowing the next release will surprise and delight yet again. I am a big fan of Twitter. 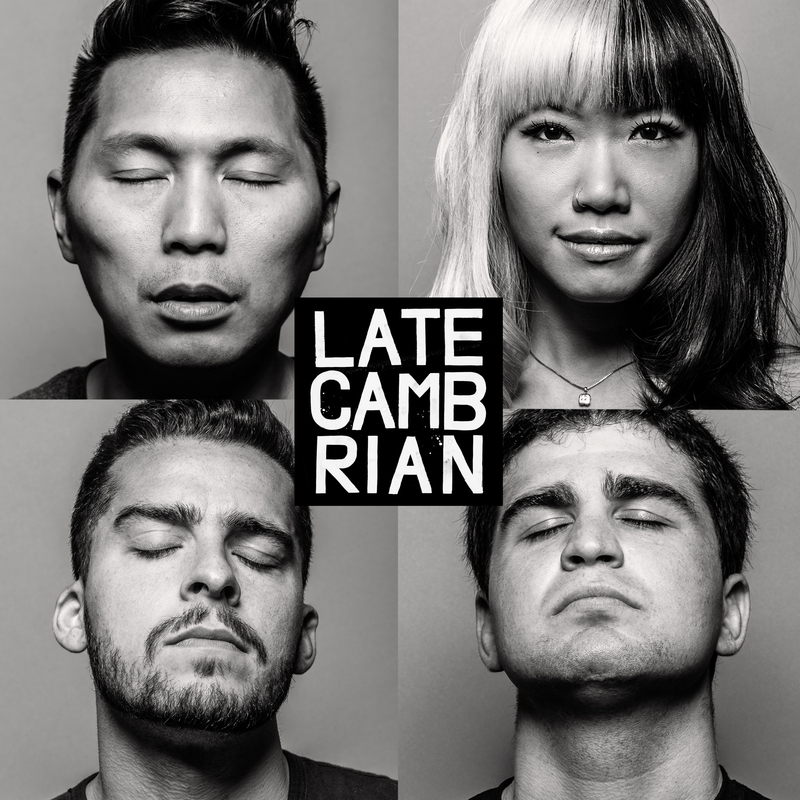 It has connected Late Cambrian to many new fans and musicians. When we were touring in the UK we had a constant stream of tweets with photos of the band hanging out with new fans. It was a great way to share and communicate with new friends and fans on the road, and our American fans got to experience our tour and life on the road in pictures as it was happening. After a two day digital detox (No computer, no internet), i realized that Facebook is a big time waster. The artist fan page is still a good way to communicate with fans, but the fact that only 15% of users are shown your posts unless you pay, makes it harder for the less financially secure bands to flourish there. I have really limited my Facebook intake and posts (personal page) since my digital detox, and it leaves me a lot more mental power and creativity for recording and filming music videos. I have recently come around to the idea of releasing singles over albums. We have released 3 full length LP’s and one EP. They have all had varying levels of success but the one thing that seems true for all of the albums is that some songs got all the play and some got much less. We just released a single for the first time, and it really focuses all the fan attention on one song and video. All the view counts and comments are about the same song, and I think it’s been really helpful for streamlining my social media approach. Many people looking at new artists only have enough mental time for one song. They aren’t really searching out a full album by a new artist to get into. I would say, put out one great song at a time and ‘earn’ the right to a full album, by impressing on each single. Stock brokers are always looking for market trends, Regular consumers may not know it consciously, but trends are ruling their life. Avoiding trends is one good way to be original, but it’s helpful to remember that as an artist you’re still using tempo, chord changes and melody. The basic ingredients are not original and will never go away, because music as a form is how humans communicate their desires and loves and fears to large groups of people. While trendiness will definitely stifle a lot of originality, it also has helped me understand why styles become trendy and what aspects of each trend I find pleasing or annoying. I personally hate the ‘auto-tuned’ voice sound and I am glad it has disappeared a little since it’s popularity a few years ago. But, now that it’s gone, it has become a recent ‘trend’ that I can experiment with in my search for new ideas and sounds, made from accepting and blending all the technology available to us as artists. Well, my personal definition of success is when a fan writes me to ask what the lyrics to a particular song mean, and how I came up with them. It is really satisfying to have fans connect with me on a lyrical level. It means they liked the music enough to delve deeper than the initial appreciation of melody and rhythm. to make a full time living as a musician and artist. I don’t need to be rich. If I needed to be rich I would have become a lawyer. I don’t need to be famous. If I need to be famous I can climb the empire state building naked. Being rich and being famous can be really easy if it’s what you set your mind to. Being happy on your path to the artist you want to be is the goal. So far so good. 1) Listen to the 45 second previews of the Top 50 iTunes songs once a week. Believe me, this is challenging. When you listen to the iTunes top 50, it feels like the same 3 songwriters wrote all the lyrics and chord changes. It can be a depressing excursion into the world of ‘music as commerce’. Still, listen to the iTunes Top 50 and keep your musician fingers on the pulse of popular culture. There is something to be learned from everything. 2) When I record a new song, I always make a point to filter at least one instrument through the craziest effects possible. It’s really important to get used to all the technology available to the artist. Even if I don’t use the final crazy sounds I made, it is fun to discover new sounds that don’t necessarily come from organic performance. 3) I’m a guitar player by trade but I play a lot of bass. I also play a lot of keyboard. It is challenging but it expands my musician perspective.